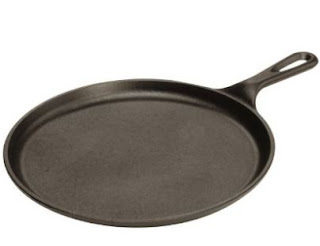 Right now on Amazon you can score the Lodge Cast Iron Round 10.5 Inch Griddle for just $12.74. This retails for $24.00 normally, so a great savings. I have a few Lodge cast iron items and I love them all. I have been in the market for this round because it doesn't have high edges, great for pancakes...grab yours now. Prices on Amazon are subject to change. The item ships free with any orders of $49 or more or with Amazon Prime.